Hey! Let's have some fun!! About 2 months ago I bought my son a barebones mini PC with all the necessary parts. Turns out he repaired his tower so he didn't need it after all. I decided at that point I would keep it but wasn't sure what to do with yet another system (I alone have 6 in the house already). I had a NESputer for a long time - I bought it from Lastcallhall in Oct 2011. It JUST went the way of the dinosaur after serving me for four years. Although I loved the PC in a Nintendo I didn't want to do the same thing again. 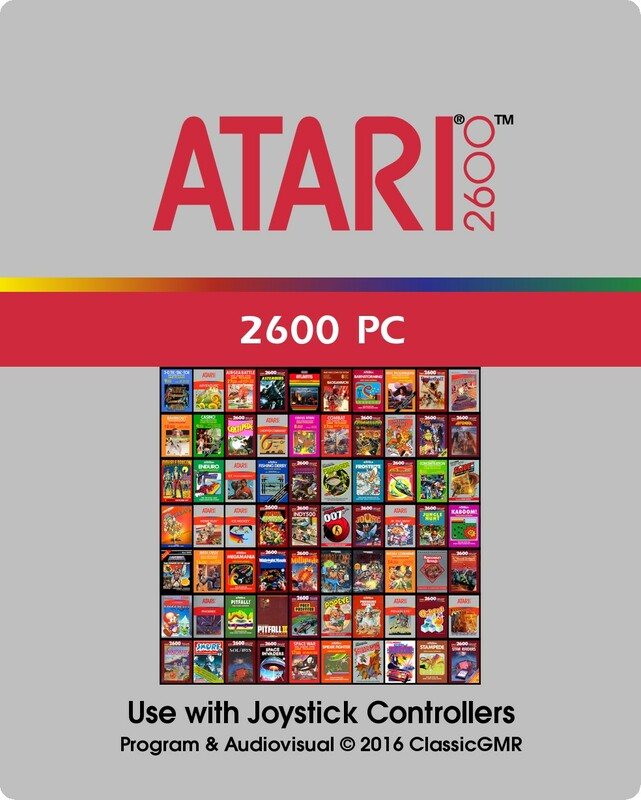 I remembered reading about the 2600 PC and thought that would be worth a shot! 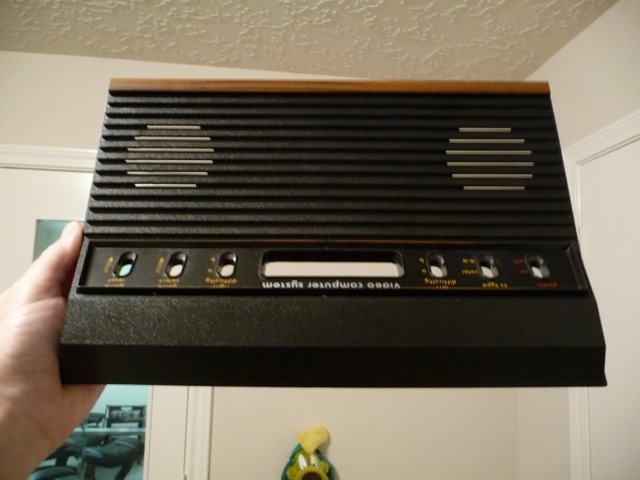 So here's what I am doing: I am taking an Atari 2600 shell and putting a PC in it. It's that simple. Hopefully it's that easy. I am also going to try and leave the physical cartridge port intact. That means I need a game "plugged in" to play! Here's where you all come in - I want a main label and end label designed for the cartridge. MAME or multi-emulator theme would be great but it needs to be in the style of the 2600. I will let this kick around a few weeks so people can bounce their design ideas off of each other and help each other out as well. 3) Something I haven't thought of yet. Albert has graciously volunteered to print the label and donate the IMMENSELY ULTRA SUPER ELECTRIFYINGLY common cart for the label to adhere to forever. Thank you sir! 2) I am having major oral surgery on December 30th. I may be out of commission for a week or two after that. DO NOT BE ALARMED IF I GO SILENT. This is why. This will also give me something to read while I recover. Edited by ClassicGMR, Thu Dec 24, 2015 9:45 PM. Anyone interested in helping out with this and maybe winning some neat stuff? Edited by ClassicGMR, Wed Dec 30, 2015 8:41 PM. Hmm...I might have a idea need to see if I can make it work & look good. So it's been 15 days and with the exception of Iwantgames:) there's been no responses to this thread. I thought it would go over better. Ah well. 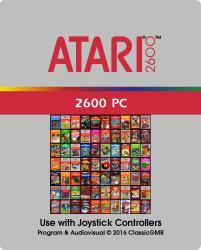 The project shall forge ahead it just won't have a shiny Atari 2600 themed label on it. Butchering up VCS consoles doesn't go over all that well on this site. And that 2600 pc is so poorly done.. Anyhow, make your mod, AND keep the original circuitry intact. There's a challenge for'ya! I have been a collector since 1981. I have put a lot of time, contributions and effort into this hobby for many years. I would not destroy any working, functional consoles that work for any system line. Your best bet is to use http://www.labelmaker2600.com/ and make whatever you want. If your looking to do a mame collage theme try a pic of a box art or something. I attached a sample below.